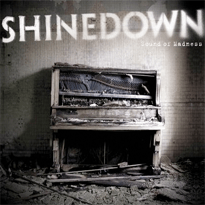 (2009) "If You Only Knew"
"Sound of Madness" is a single by American rock band Shinedown from their 2008 album The Sound of Madness and is also the album's title track, despite the exclusion of the word "the" in the song's title. The song was chosen to be the title track after some road testing on a short run of dates. It was released on February 23, 2009 in Europe. As of June 20, 2009, the song has peaked at No. 1 on the Hot Mainstream Rock Tracks chart, making it their third straight single to reach the top spot on the chart. This makes Shinedown the only band to have their first ten singles all reach the top five on the Mainstream Rock chart.